Thanks abou your Help victzh. Good afternoon everyone, this module works perfectly on Devo 8s ? there is some turotial for installation? Last edit: 06 Jun 2014 18:30 by kadaj. kadaj wrote: Good afternoon everyone, this module works perfectly on Devo 8s ? there is some turotial for installation? Yes SeByDocKy, I bought one of these module and have the slightest notion of how to install in the Devo 8s.. Exist any tutorial about this installation? Last edit: 11 Jun 2014 13:10 by kadaj. kadaj wrote: Yes SeByDocKy, I bought one of these module and have the slightest notion of how to install in the Devo 8s.. Many thanks SeByDocKy, I found a little tricky, but I'll try. hi there I used that model file at my heli with devo7e. but I have got some struggle on heli. can some one please make a step by step video on how to install this protocol i watched a youtube viedo and got this installed on my devo 10. i need help if any one can help please. i tryed today and my transmitter menu disappeared.i got it back working. but i want to fly my v977 with my devo! kingofcuts wrote: can some one please make a step by step video on how to install this protocol i watched a youtube viedo and got this installed on my devo 10. i need help if any one can help please. i tryed today and my transmitter menu disappeared.i got it back working. but i want to fly my v977 with my devo! More details to follow on RC Groups when I have time. Last edit: 24 Jun 2014 22:33 by Florida Heli. I'm try to find out if the pcb from FX071c indicates whether or not it is using the KN protcol. And if the v977 tx might be compatible or the deviation software, devo 10, and NRF24L01 module. Last edit: 07 Jul 2014 01:43 by ricchrist. It's more or less written on a chip - KN. Also, it uses Beken as a radio chip which is also a sign of KN protocol. So yes, signs are there. They can change some detail so it is incompatible, so the best way to answer your question is to try it. And yes, Devo10 works great with KN compatible helis (I have only V977, but people reported others to work as well). Thanks for replying victzh, I'll know for sure when I have both helis. I am hoping the v930 and fx071c that I have on order can bind with the v977 tx. Its already been confirmed that the v930 will bind and fly with the v977 tx. The devo 10 is not far behind, for now the v977 tx I am hoping can handle the fx071c. Didn't have the heli yet, ordering one now. Looking at the setting in my D7e, I'm a little confuse. How can I change between 6g and 3g? Channel 8 is in "Deadband" config and default is 3g. My D7e already added 2x3ways switches. Can they be used to toggle between mondes? And how? I'm kind of new on setting up radio. Could you please post your V977 modelx.ini file for your V977 if you've customised it with respect to the first one posted a few pages before ? 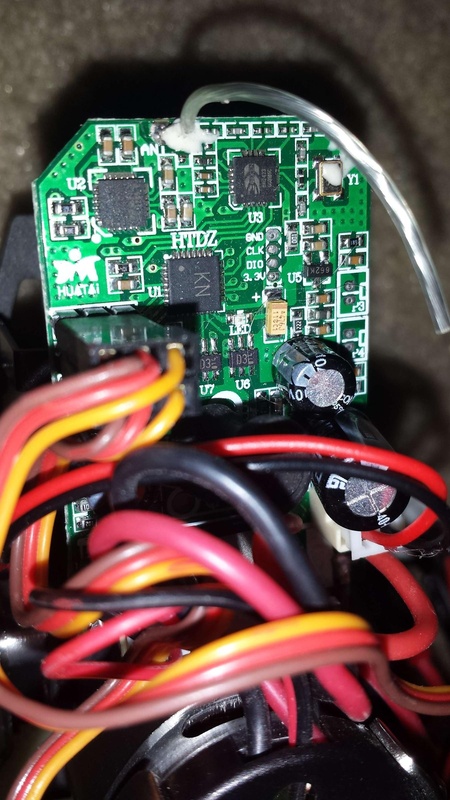 I've understood that we can't do anything about the pitch curve as on a V922/HCP100 that I own, so do you have any advice about customisation of settings for this RC heli ? Here is a Devo 10 model.ini file customized for the v930. Thanks to Ben1977 for the help with the mixers! EDIT: I moved the files to the model configs forum. Last edit: 12 Jul 2014 21:36 by Florida Heli. Florida Heli wrote: Where should I post this? I'll put it here for now I guess. Here is a Devo 10 model.ini file customized for the v930. This thread is about V977 but since 930 use the same protocol, your modelx.ini should be useful. As all power star series use KN protocol, probably including newest tri-blades heli www.banggood.com/WLtoys-V931-2_4G-6CH-Br...copter-p-934884.html the signal to switch between 3g and 6g should be the same. I'll look into your customized model, see if there's anything I can use. I'm using Devo7e anyway. Strangely, haven't seen any VDO of someone flying V977 with Devo tx. When mine arrived, we'll find out. I moved the v930 files to the model configs forum. I didn't know where to put them at the time. Being customized for FP, I don't think there is much in the v930 file that will transfer well to the CP v977. I used the three-way FMOD switch for 6 flight modes instead of idle-up.